Do you wish your child would think before acting more often? 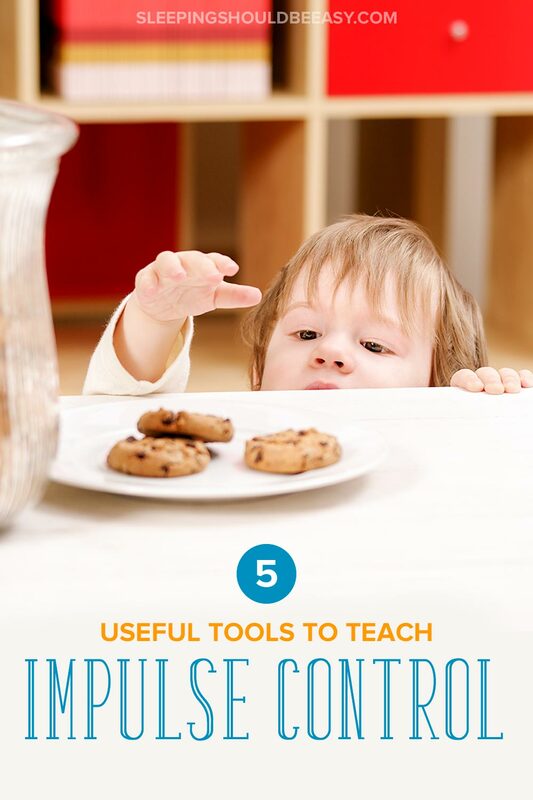 Learn how to teach impulse control for kids with these 5 useful tools. It’s never too late to help your impulsive child! Wondering what age kids typically stop to think before acting? You’re not alone. Many parents struggle with impulse control for kids, despite using time-outs, positive reinforcement, or removing privileges. Perhaps your child grabs toys from other kids or pushes them for no reason. Or maybe he doesn’t think twice about touching something hot or dirty, or he can’t seem to stay away from the items you keep telling him not to touch. The confusing part? He says “sorry” right after and clearly knows that what he did was wrong. 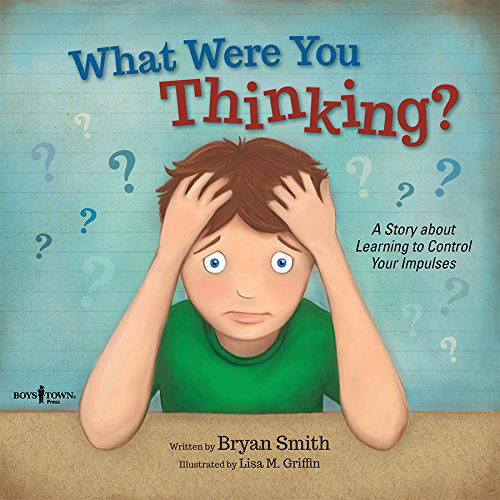 How can you teach your child to think first, and then act? No one wants their kid to be “the bully” who can’t keep his hands to himself. It’s also exhausting to say “no” over and over, or to follow your child around to make sure he’s behaving well. Thankfully, it doesn’t have to be this way. The first step to take is to always bring up any concerns you might have with your child’s pediatrician and teacher. While most behavior is typical or can be resolved with parenting tips, sometimes the causes can stem deeper than that. Both the pediatrician and teacher can better assess his behavior and guide your next steps. But if all checks out well, below are a few useful tools and strategies to try that I’ve used with my own kids. 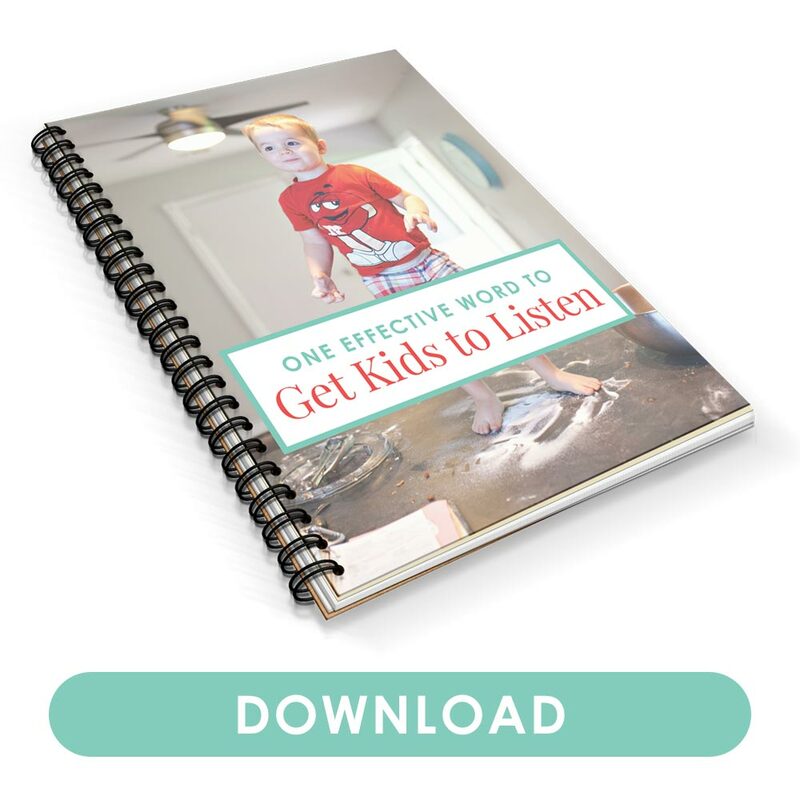 They’re rooted in sound parenting principles that are good to practice regardless, and can make a huge difference with helping your child better control his impulses. After brushing their teeth, I have my twins open the medicine cabinet and return their rinsing cups. My pet peeve, however, is when, after putting their cups away, they slam the cabinet door really hard. For a while, I kept explaining how doing that could break the mirror, or that it’s simply not the right way to take care of our things. But my words didn’t make a difference—like a habit, they would continue to slam the door shut. So I took a different tactic: instead of simply explaining or reminding them not to do it again, I had them re-do it correctly. I’d open the cabinet door and ask them to close it again, but this time, gently. I began to use this technique for everything I seemed to nag them about, from putting their pajamas away to speaking to their brothers more politely. You see, I learned that our brains need to relearn a different way to do an action—it’s like we’re replacing our old habits with new ones. Not only that, but we need constant repetition to truly get the message through. Well… it worked. Many of the aggravating things I wished they had thought more about before acting on lessened. New habits replaced their old ones, especially after having done it the right way many times. Get more tips about how to stop nagging your kids to get stuff done. Do you threaten your child with consequences, hoping he’ll finally start thinking about his behavior before acting on them? We often do this, especially since we usually threaten them with something we know they’ll be devastated to bear. After all, sometimes it feels like we need to go to the extremes just to get them to listen. If he writes on the wall with crayons, you might tell him he can’t watch his favorite TV show tonight to really drive the point home. More than likely, he’ll feel sorry, but do so begrudgingly, all without any true lessons learned. He’s driven by fear of punishment to behave, rather than using this opportunity to learn a more appropriate way to color. A more effective response? Stick to natural consequences that tie to your child’s behavior. As much as you know he’ll stop and listen if you don’t let him watch his favorite TV show, he’ll make better decisions when he can tie his behavior to a natural consequence. Maybe that means he now needs to wash the crayons off the walls, so he knows it’s not the best place to color. Grabbing a toy from his sister’s hands might mean he can’t play with that toy for the rest of the day. Not being careful around the kitchen means he has to stay in the living room while you finish up dinner. This way, even these challenging moments can help him learn the consequences of his behavior. Get more tips about following through with consequences. Do you ever feel like you tell your child “no” all day long? You’re practically watching him like a hawk, ready for yet another impulsive behavior to correct or tell him not to do. But rather than fixing what’s wrong, you can prevent these situations from happening at all. What can you do to keep your child from having to control his impulses in the first place? For instance, instead of telling him not to touch breakables or harmful items, move them out of reach so he’s not even tempted. Prevention can even be as simple as making sure you’re meeting his basic needs. A hungry, tired child who needs your attention is less likely to think about his actions than if he was fed and well-rested. Get more tips on how to manage when you tell your child “no” all the time. As much as we know how different kids are wired, it’s also just as easy to forget that they don’t think and behave the way you and I do. If another adult were as challenging as kids can be, we’d definitely think they were crazy! The thing is, kids are curious and drawn to explore. Their brains haven’t developed yet to make reasonable decisions the way we can. It’s normal for kids to act first without thinking through the consequences of their behavior. Not to say that this is ideal, but understanding where kids are coming from helps us be more patient and empathetic. Try not to get too frustrated when it feels like you need to keep repeating yourself (remember, repetition works and helps to rewire old habits into new ones!). Personal space: Be specific about what’s okay and not okay with respecting other people’s personal space. You might explain that we keep our hands to ourselves, or that it’s okay to hug if the other person wants to hug as well. Turn-taking: To avoid grabbing toys or misbehaving when your child wants a turn, talk about how turn-taking works. You might explain that when one person is done, then it can be another person’s turn, so that everyone gets a try. 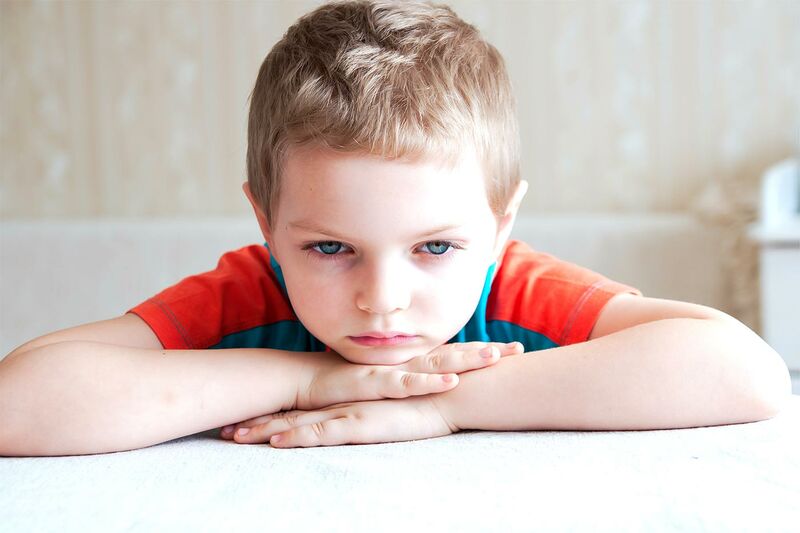 Using our words: Does your child react when he feels wronged? Share the power of using our words, giving clear examples of what he can say instead, like “I’m mad.” You can even have him repeat those words again so he can practice right on the spot. No mom wants to see her child struggle with impulse control, much less feel like she has to police his every move. But as you can see, you can take actionable steps to help yours better manage his behavior and thinking process. Simple tactics like having your child re-do the activity a better way or teaching social skills can help him remember what to do next time. Give him natural consequences that tie to his behavior so he can see the results of his choices. Besides correcting his behavior, you can also prevent them by lessening the chances they even happen. And finally, adjust your expectations and remember that your child’s brain is still growing and wired differently than adults. With these tips, your child can better develop his impulse control—even if it means having him close the medicine cabinet again… but gently this time. Tell me in the comments: what’s your biggest struggle with your child’s impulse control? 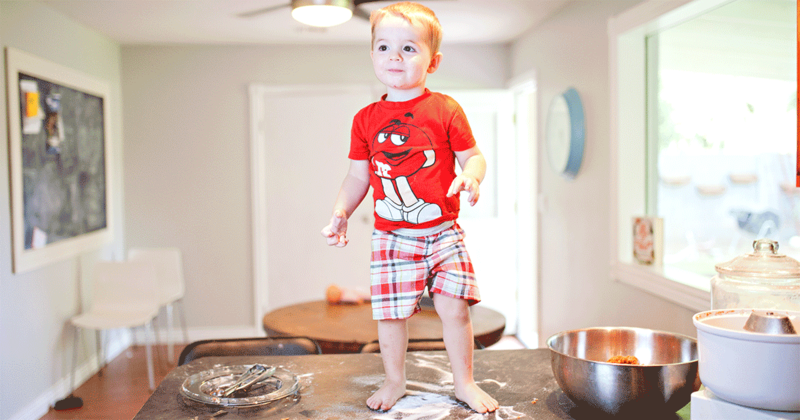 What tips have helped you teach better impulse control for kids? Loving this post! Though we practice all of these in our family, I particularly love #1! We practice EVERYTHING! From responding the right way when a child speaks harshly, to closing doors gently, to asking for something with proper etiquette! I also help guide parents to train their children in these areas early on, at my blog afamilymeeting.com to prevent as much unwanted negative behavior as possible! How on earth will a child know what they haven’t been taught and how can they get good at a behavior if they don’t practice it? So glad to have found your blog. Loving your work here. Great job! Thanks for your kind words, Shelley! And yes, exactly what you said—we can’t expect kids to know how to do some things if they’ve never been shown how. Re-dos and practicing work like magic to change behavior!